Greetings from The Pier Crew! Check check.... Hello world! 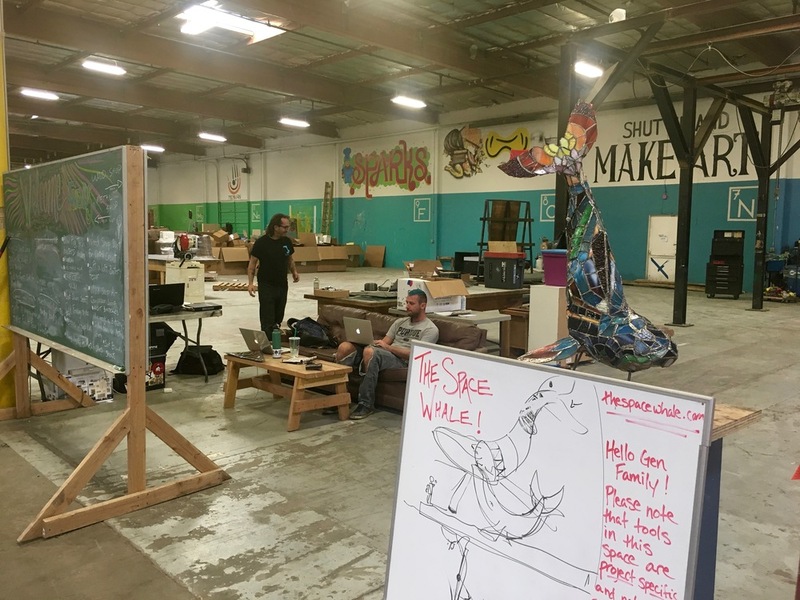 Our build space here in Sparks, Nevada is electric with excitement right now as we set up shop for The Space Whale. 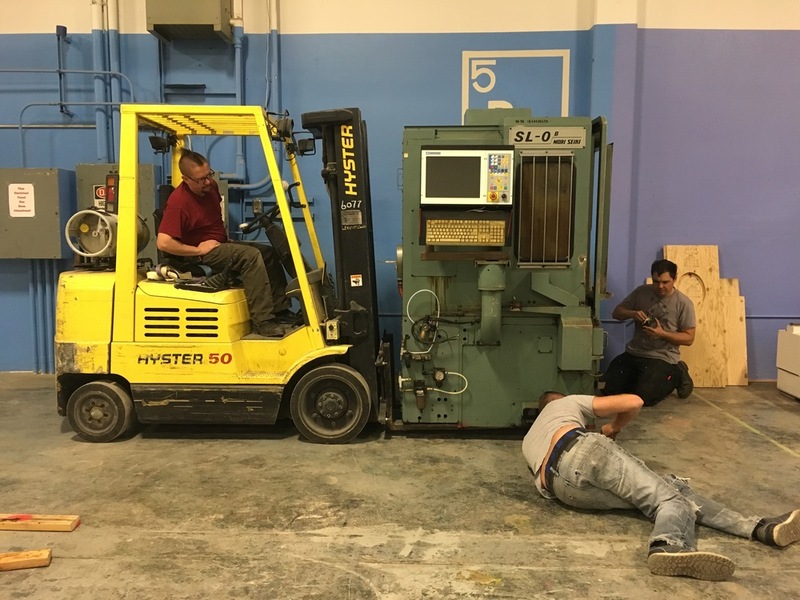 In the past few weeks we have gathered our project leads to discuss the construction timeline and fundraising goals, rewired entire parts of The Generator Inc. to fit our power needs, installed some of our main fabrication equipment and begun test welding for the internal super structure of the whales. Long nights, large pizzas and loud music have taken over the warehouse once more and we couldn't be more thrilled to be riding this first big wave of motivation. BIG NEWS: Our fundraising lead Lindsay and local production company Fresh Bakin' were at long last able to announce our massive Spring event with Skrillex, and positive press has been swirling all around the web about this show. Sonny Moore has given his time so graciously to our efforts and we could not be more excited about bringing this collaboration to Reno on May 27th! Tickets are flying fast for this one but can still be scooped up at freshbakin.com. Back at the build space things have been heating up as well. 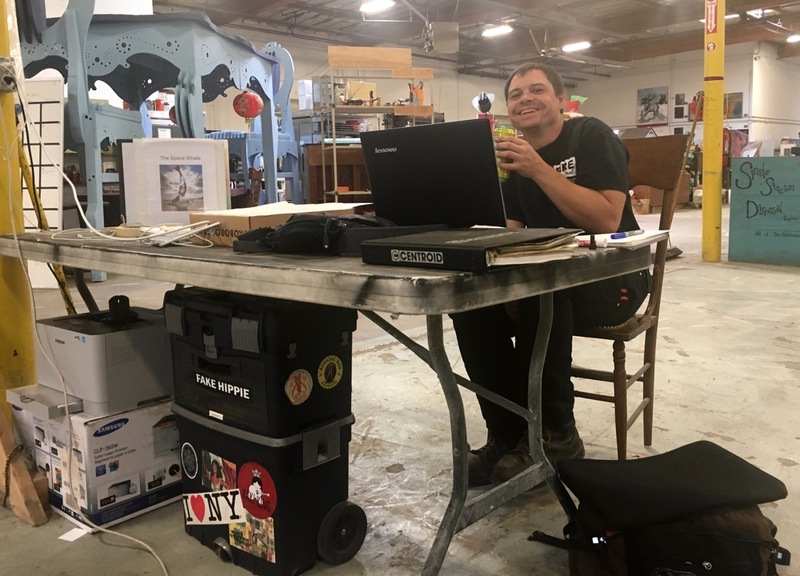 Our CNC lathe has proven to be a bit of a challenge, requiring several new specialized parts and a lot of love from our fabrication lead Andy. 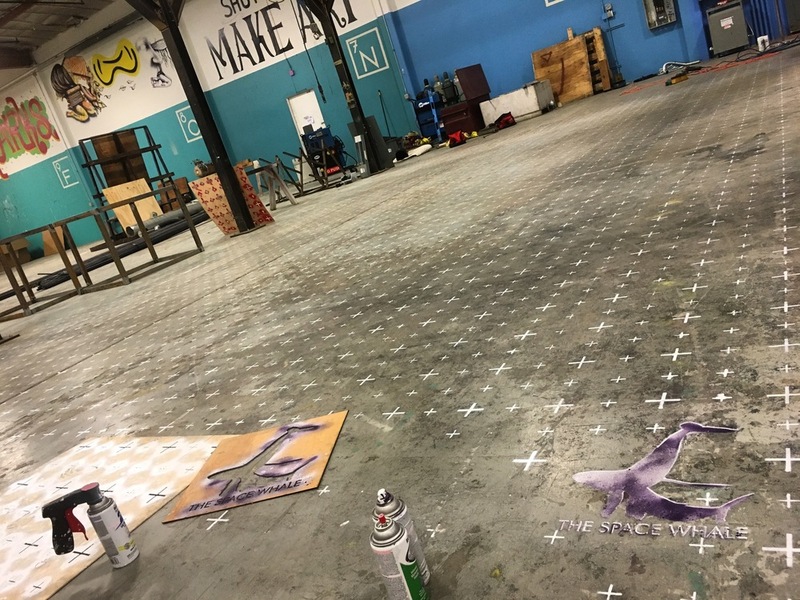 In addition to prepping machinery, an enormous grid had to be stenciled on the floor of our construction space to help measure the length and angle of each and every metal bar comprising the whales' structure. 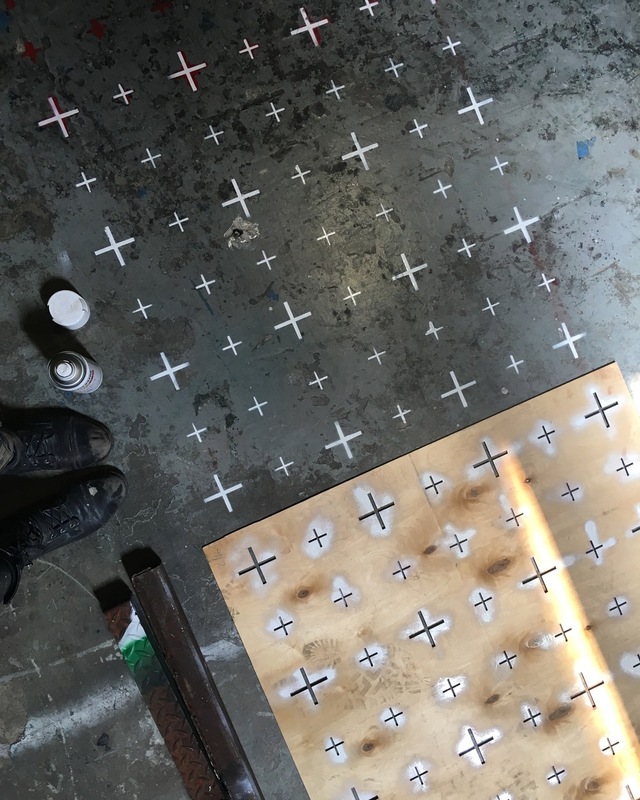 Lead artist Matt and our core group of builders are now working around the clock as physical construction begins. 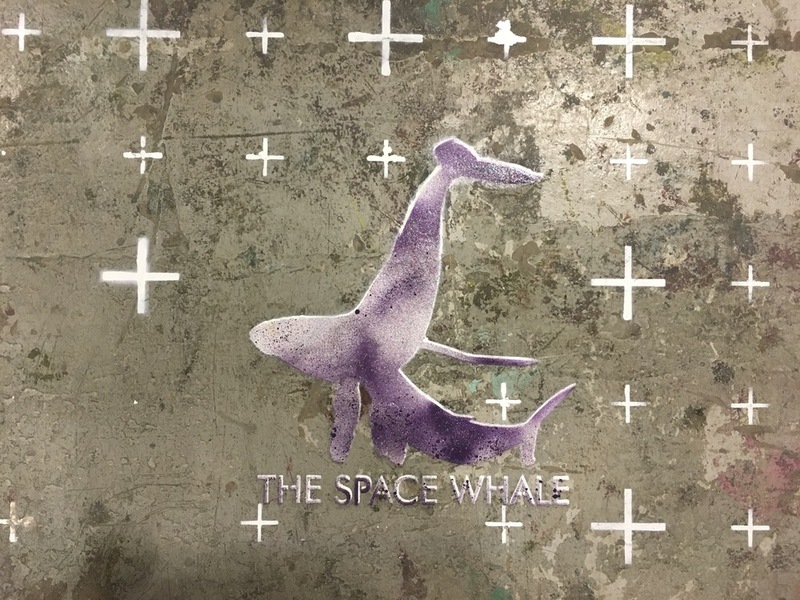 The Space Whale's debut install at Burning Man 2016 is only four months away!